Antique Refectory Tables are a long, heavy solid table, usually constructed in old Oak, Walnut or more unusual examples in elm or fruit-wood with stretchers around the base. They were originally used in the Medieval times in monasteries or Great halls in larger properties of very wealthy English homes and Castles. They were used for large banquets, with the earliest examples having long planks of wood supported by trestles and were easily dismantled so that the hall could be used for dancing and entertaining after the feast. By the mid 16th Century these tables became fixed and the Lord and his family would dine in a separate private room, no longer as a banquet with lots of guests. 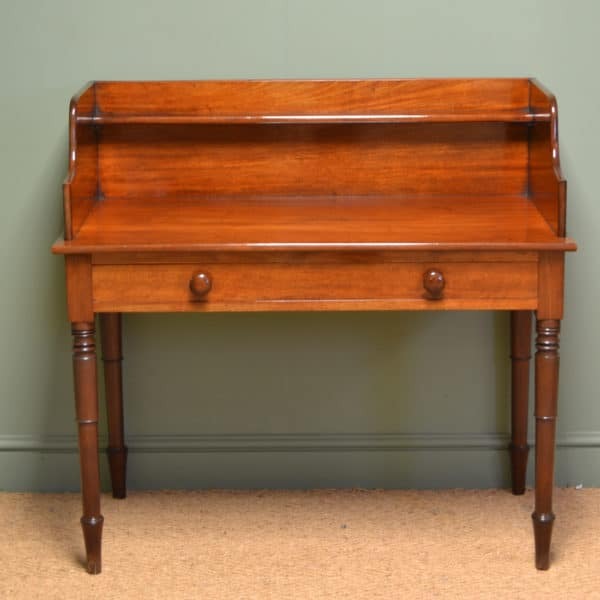 This style of antique table became unfashionable for quite some time so was not over manufactured, but then with the Victorian interest in older times, it was reproduced by Victorian cabinet makers, so you can see good examples from this period. Have a look below at our lovely examples available for sale. below are a few more examples that we have sold but we do get some lovely examples in stock, so let us know if any particular styles is what you are looking for and we can see if we can find something similar. 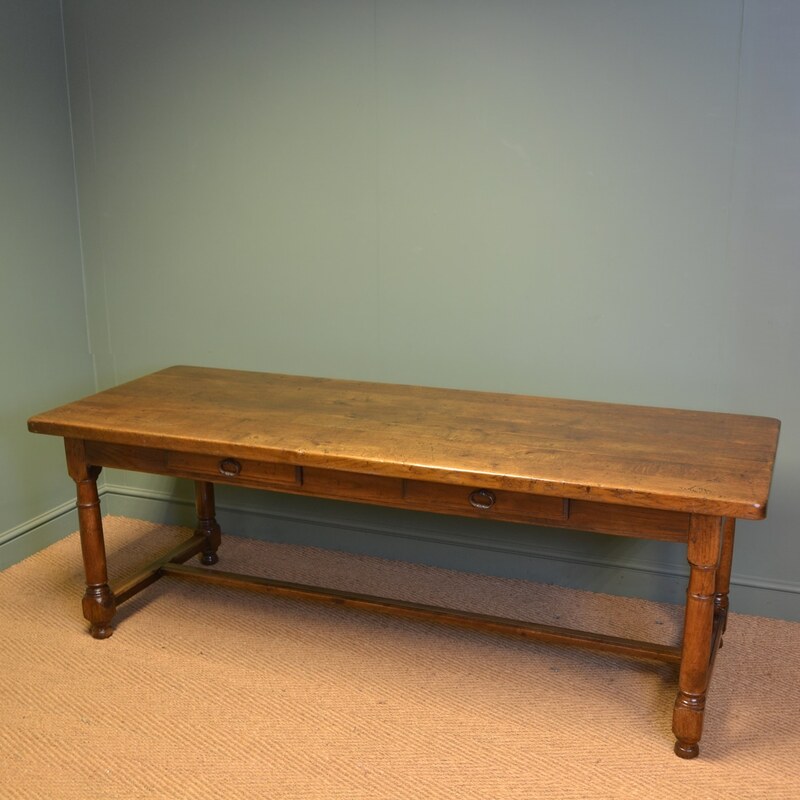 Oak Antique Refectory Table. 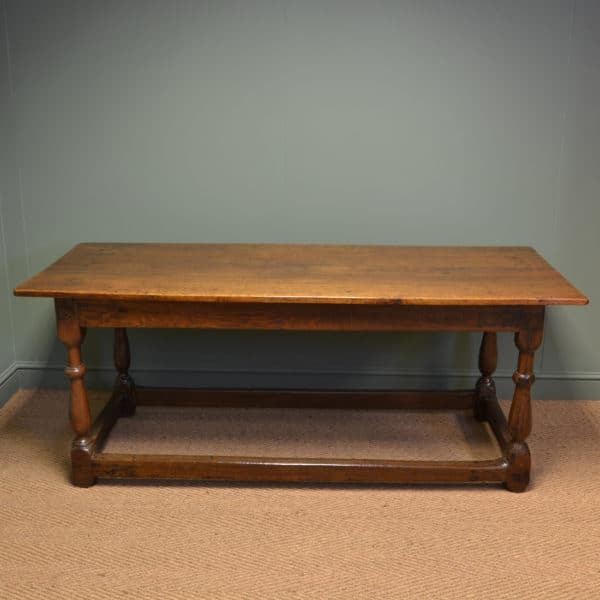 Dating from around 1920 this solid oak refectory table is based on a medieval design. Originally used by monks in their dining hall, or Refectory, several would have been placed together to create an elongated table. This particular table has a thick oak beautifully grained top above four chunky turned legs stabilised by circumferential stretchers. Antique Oak Victorian Refectory Table with Carved Apron. 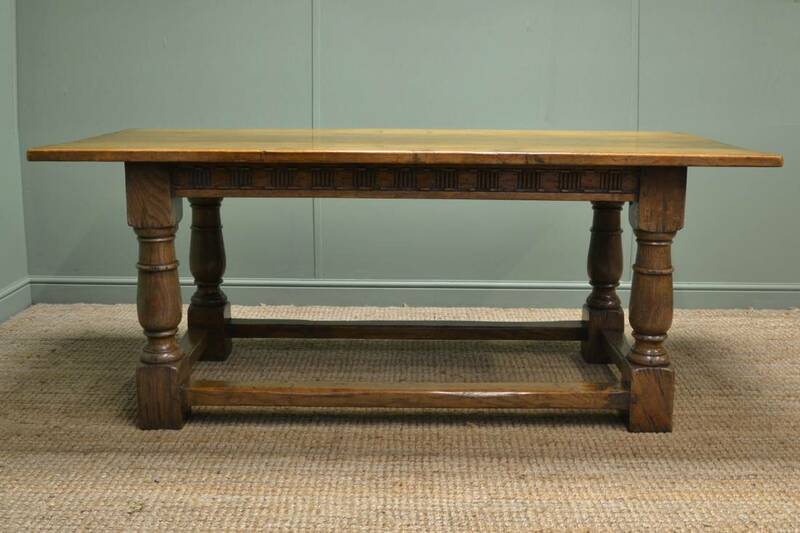 This stunning Victorian oak antique refectory table has a beautiful carved apron and dates from around 1880. The design originates from medieval times when monks would put several together in their refectory in order to dine together. 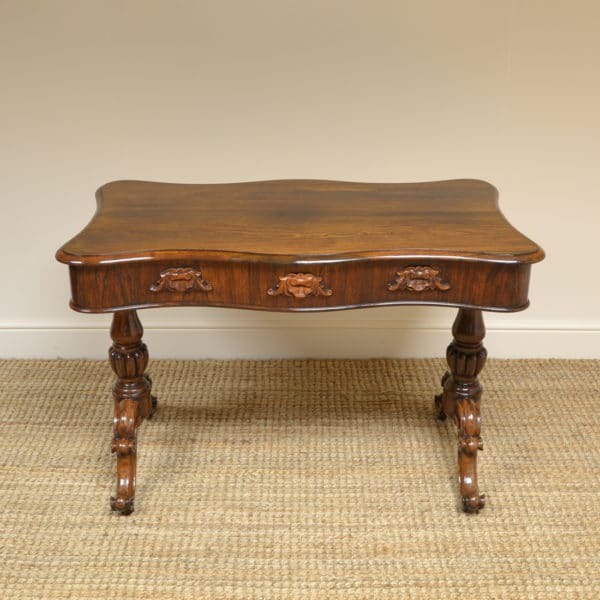 This particular table has a delightfully carved apron below a solid oak beautifully figured 1” top. 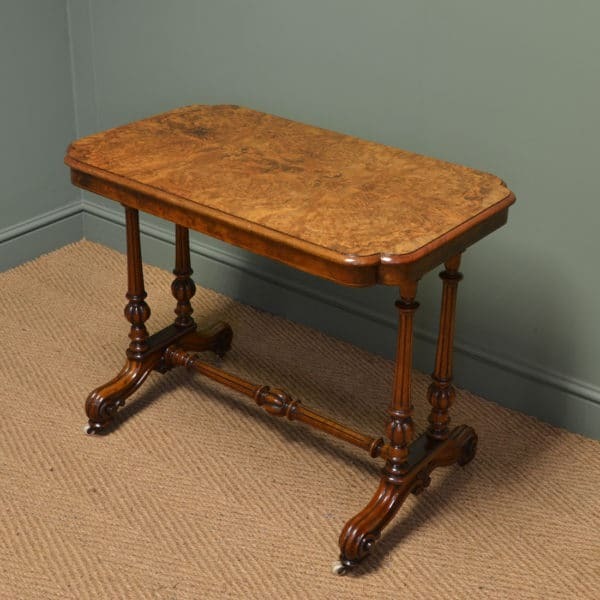 With four bolster turned legs and circumferential stretchers this antique table of pegged construction is very stable. 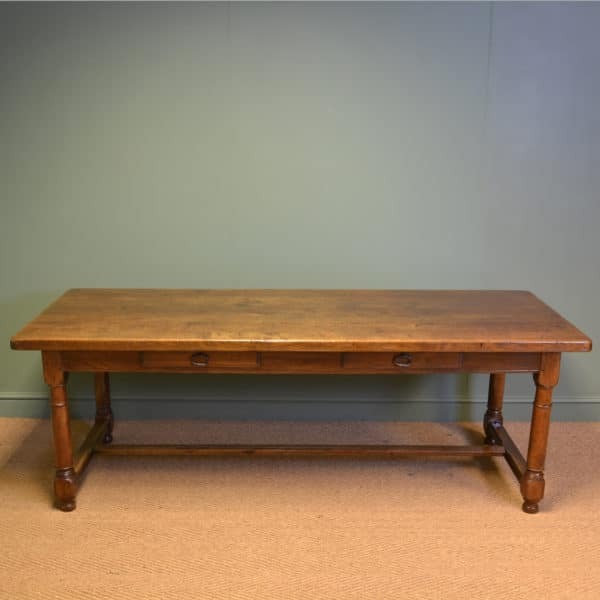 Victorian Oak Antique Small Refectory Dining Table. 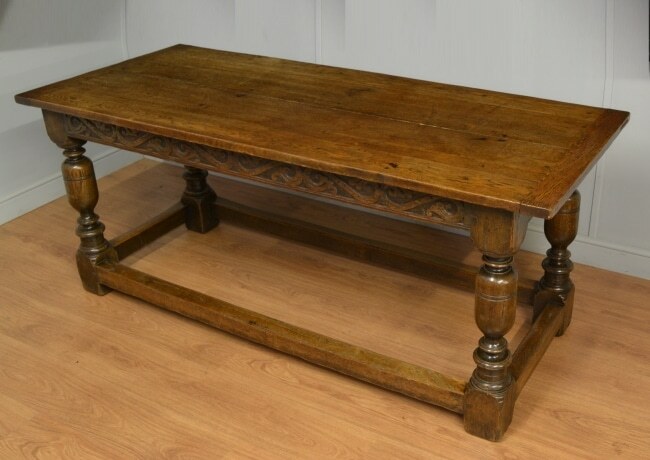 Dating from Around 1890 This Victorian Oak Antique Small Refectory Dining Table has probably been constructed from early period timbers and is of unique small proportions. It has a beautifully figured top above unusual turned legs and a H stretcher for added stability and would seat four to six people. 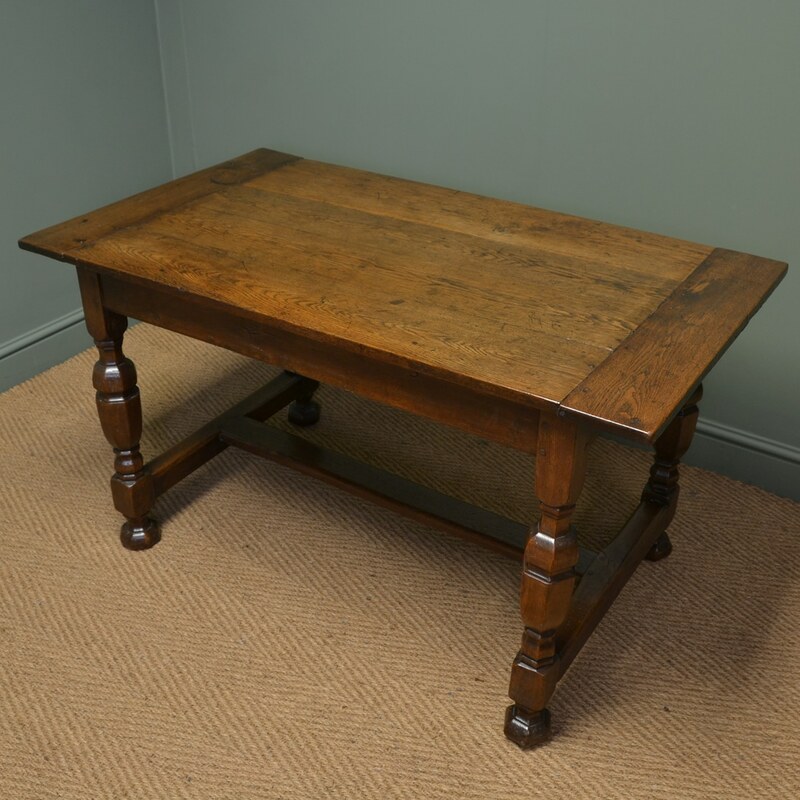 This wonderful table is of pegged construction and the oak has aged to a warm shade with a striking grain, good patina, is in very good condition and has been beautifully cleaned using a traditional form of wax finishing.